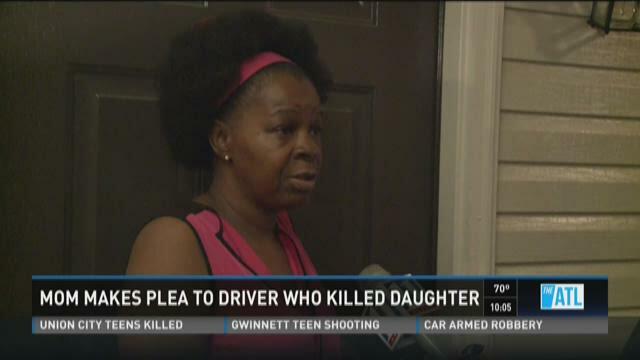 NORCROSS, Ga -- A Norcross mother made an emotional plea to the hit-run driver who killed her daughter. Amber Harding, 28, was killed while crossing S. Norcross Tucker Road in Norcross Tuesday night. Harding's mother said she hasn't slept since she was told her daughter was killed. Muriel Harding tearfully wondered why the driver did not stop. "You know this world is so, so wicked," she said. "I mean how can you just hit somebody and leave?" NORCROSS, Ga. -- A suspect is at-large and police investigating after a bank robbery on the outskirts of Norcross on Thursday. Gwinnett County police responded to the SunTrust Bank in the 5900 block of Jimmy Carter Blvd. around 11:30 a.m. The teller told the officers that the suspect approached the window and handed him a piece of paper. The note was a demand for money and while the suspect never spoke, he gestured for him to hurry. The suspect then lifted his shirt and showed the grip of a handgun. The teller then handed over an undisclosed amount of cash. The suspect left the scene on foot toward Pelican Drive. Because the suspect also showed a handgun, the FBI has also responded to the location. 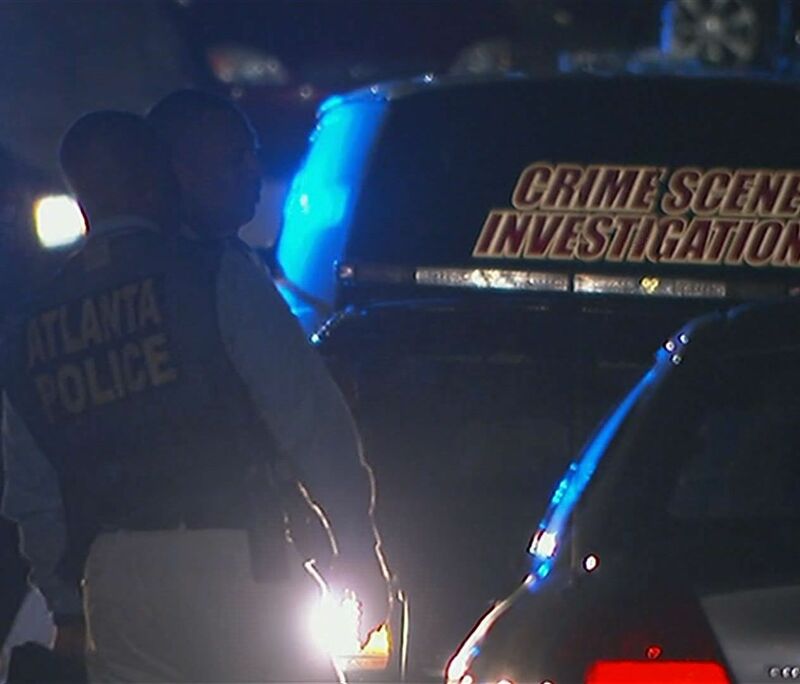 NORCROSS, Ga. -- One person is dead following a shooting in Norcross Wednesday night. The incident happened in the 1300 block of Reddington Lane just after 10 p.m. Along with the deceased, at least three victims were transported to a local hospital with gun shot wounds. 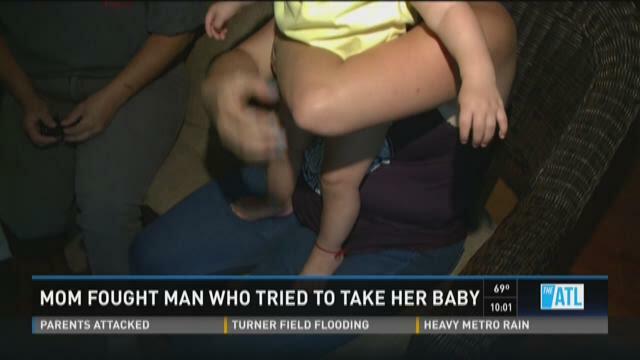 NORCROSS, Ga -- It was motherly instincts that kept a suspect from stealing a 10-month-old baby girl out of her car seat. The baby's mother fought the suspect, even bit him, before he gave up and ran. Isabel Midence, 35, of Lawrenceville stopped at a McDonalds in Norcross to get breakfast after she and her father took her daughter Sophia to the doctor Wednesday morning. NORCROSS, Ga. -- Over a quarter million dollars worth of heroin was seized in a multi-agency Gwinnett County drug bust on, Friday, at a Norcross apartment. The raid, executed by Gwinnett County's Metro Task Force and the Bureau of Alcohol, Tobacco, Firearms and Explosives (ATF), happened at Ashford Jackson Creek Apartments on Sunrise Village Lane. Four kilos - or just shy of 9 pounds - of heroin were seized. The drugs are estimated to have a street value of about $280,000, public information officer Deputy Shannon Volkodav said. In addition to the drug seizure, authorities also made two arrests - Crecenio Silverio, 35, and Magarita Barragan, 27. Both are residents of the apartment where the drugs were found. A second man found near the apartment was interviewed and released. NORCROSS, Ga. -- Police say a mother fought off a man who attempted to abduct her 10-month-old baby in the parking lot of a McDonald's. According to the Gwinnett County Police Department, a 35-year-old woman said her family went to dine at the McDonald's located at 6165 McDonough Drive on Wednesday around 10:45 a.m. She said a man sat at a table close to where her family was sitting. After they left the restaurant, the woman buckled her child into a car seat. As she walked to the front seat of the vehicle, the suspect opened the door of the car and began pull the baby out of the car seat. GWINNETT COUNTY, Ga. -- The man accused of firing a gun at a car at a busy Gwinnett County intersection has been taken into custody. Miguel Angel Vilches has been charged with hit and run, reckless conduct and four felony counts of aggravated assault. The incident happened June 30 at Jimmy Carter Boulevard and Lawrenceville Highway. Gwinnett County Police said Vilches, 23, shot at a car while inside another vehicle. Investigators identified Vilches as the suspect and conducted surveillance to track him down. He was arrested and is being held without bond in the Gwinnett County Jail.